Hungry for Disney? 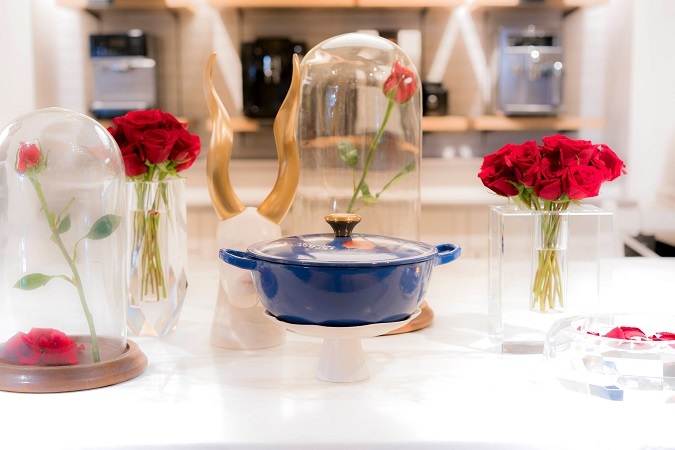 Be Our Guest at the Beauty and the Beast Dinner Party at Williams Sonoma! This post is sponsored by Disney & Williams Sonoma as a part of the #BeOurGuestEvent press junket. All delicious opinions are my own. What do you get when you combine a full day of hanging with the cast of Beauty and the Beast and me? Famished. 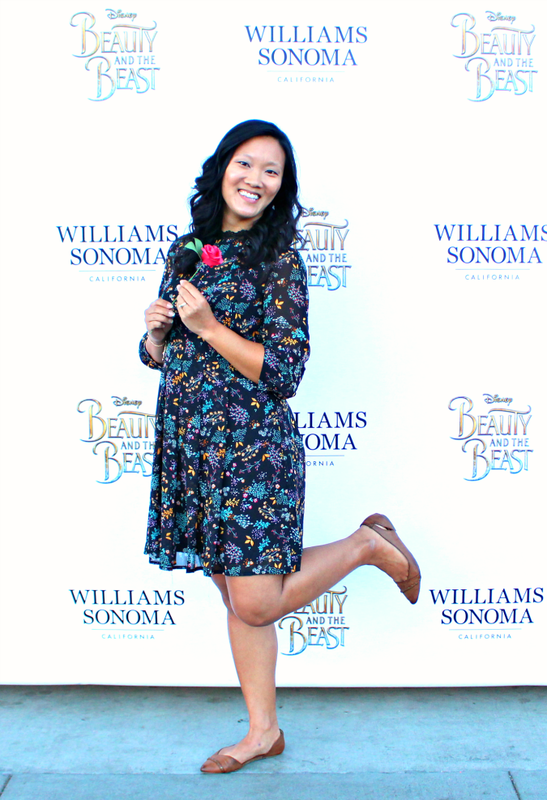 We had just wrapped up our Beauty and the Beast interviews at the Montage Hotel and were heading to a Beauty and the Beast Dinner Party at Williams Sonoma. Disney and food? Already speaking my love language. 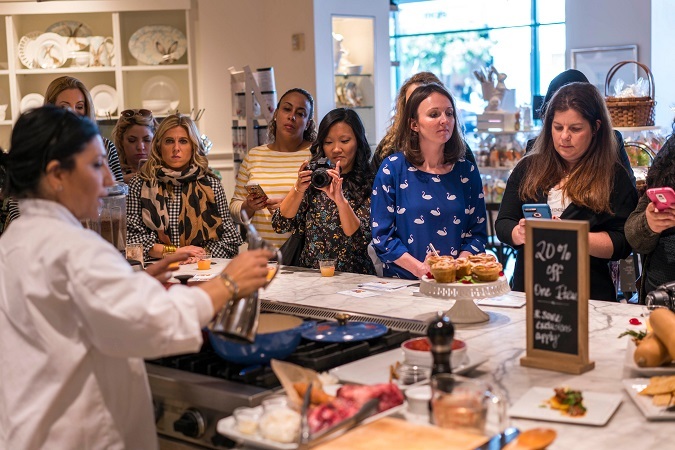 Be Our Guest for a fancy Disney themed party that only Williams Sonoma could throw. I’m already a huge fan of Williams Sonoma. All. The. Things! Even if I hated to cook, Williams Sonoma would have me believing that I was a gourmet chef in about 2.3 milliseconds. Those nifty kitchen gadgets, those gorgeous baking pans, the beautiful tablescapes. A little slice of heaven, and I wanted to go shopping. But I had to focus. Good thing the smell from the kitchen was tractor beaming me in. Roses, roses everywhere! 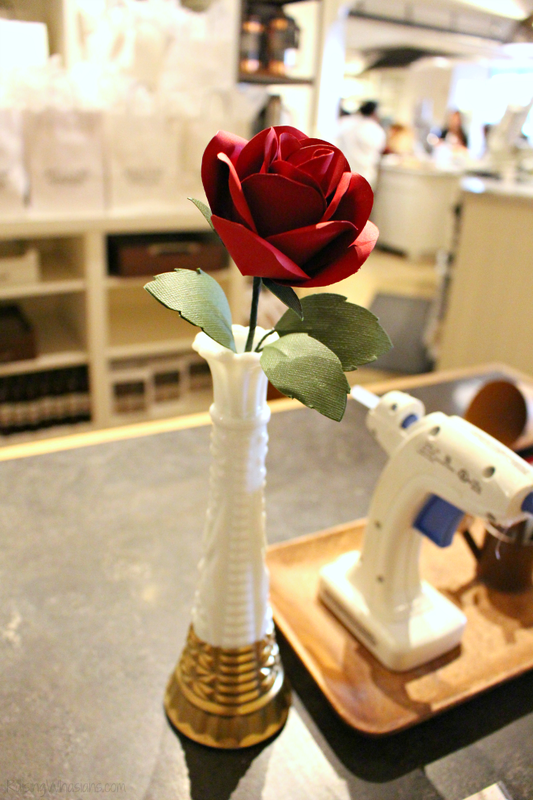 I loved how Williams Sonoma went all out with the Beauty and the Beast theme, decorating all of the tables with roses. And at the center of our dinner table is THE pot for the must-have Disney fan. This limited edition Le Creuset Beauty and the Beast Soup Pot is every Disney lover’s dream, aka me. Stopping myself from drooling over this cast iron pot – very hard to do. 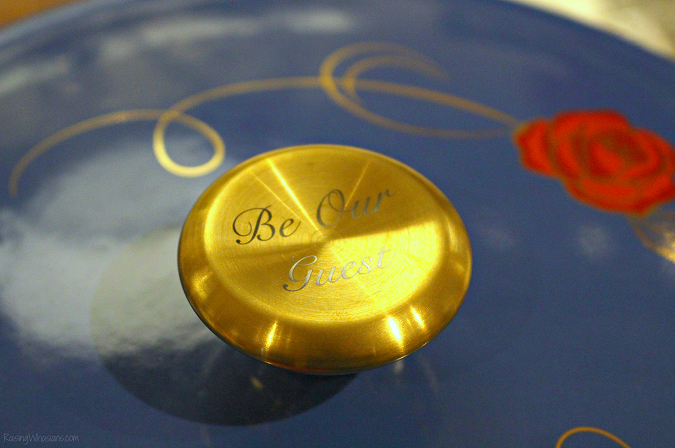 The signature Beauty and the Beast rose, the gold knob, the “Be Our Guest” inscription – it’s a one-pot of wonder! And with a very limited 500 pots available to own at williams–sonoma.com, lecreuset.com and Le Creuset Signature Stores, it’s going to be a hot collector’s item for sure. No cooking, no clean up, but all the deliciousness. This is my kind of party! 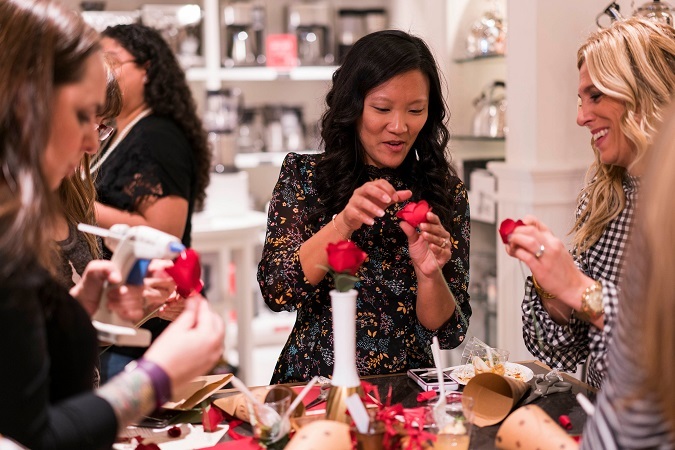 We definitely got the royal treatment as Williams Sonoma hosted our very own Beauty and the Beast Dinner Party with lots of themed food ideas. 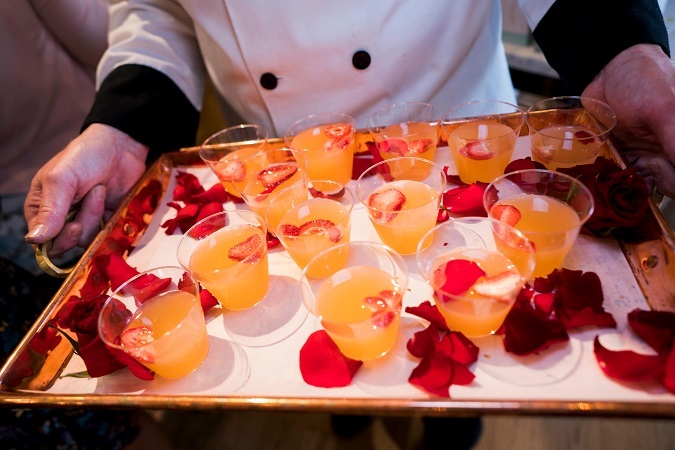 Yes, those are rose petals in our drink. With a touch of rose water, fresh strawberries and a sour lemon, this was a great drink choice for the evening. Hint of spice. Topped with cooling sour cream. Warm and delicious. And it was made in the Beauty and the Beast Le Creuset Pot. I have a weakness for cheese. Yup, also made in the Beauty and the Beast pot. Seeing the theme yet? A homemade pasta sauce all made in one pot, I’m sold. Chuck roast and sausage were the perfect flavorings for this Meat Ragu (made in the Le Creuset Pot, of course). Topped over a polenta cake, this was divine. Favorite eats of the night. 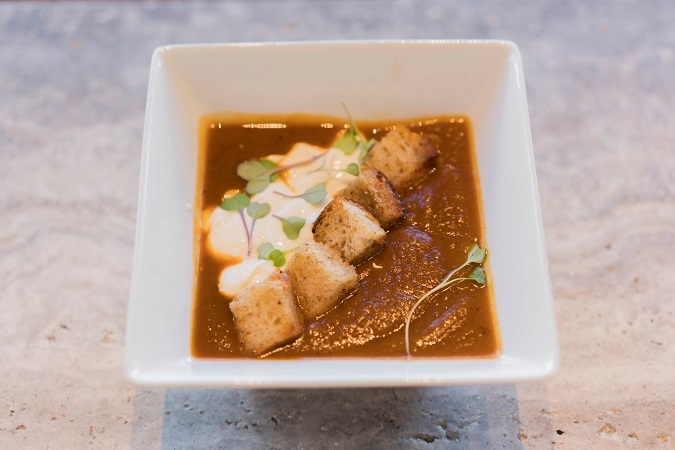 A dinner and a craft party – Williams Sonoma sure knows me well! Getting in touch with our creative sides, we had a fun night of crafting paper roses…or at least I did. 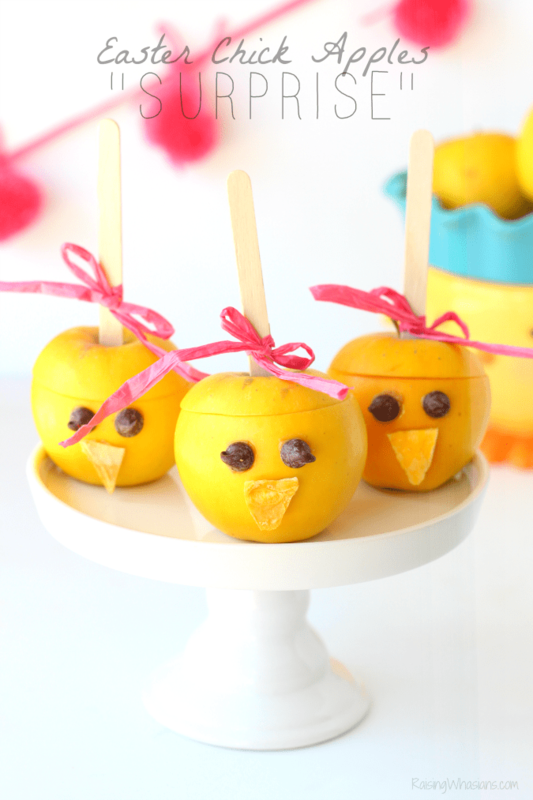 Hot glue gun in hand, I loved our little crafty session – maybe a little too much. A fun photo opp outside of the store with our paper roses was a great way to end our party. And the night wouldn’t be the same without a few little Williams Sonoma parting gifts! We left with full bellies and full hands as we received some really great kitchen items for our families – the little chef hat is my daughter’s favorite! And stay tuned for more from our Beauty and the Beast adventures! 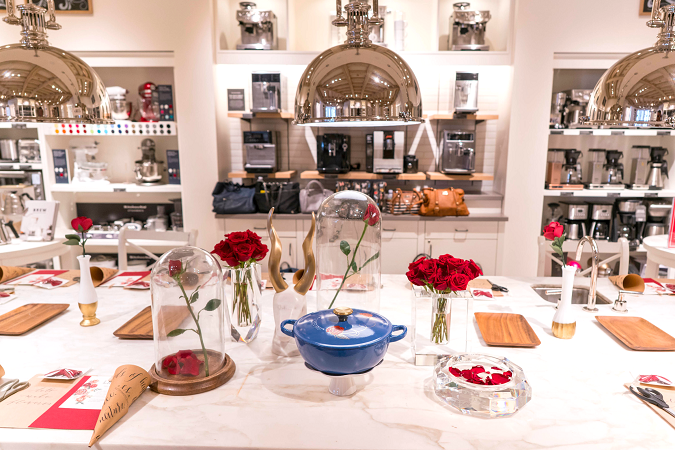 Be sure to follow Williams Sonoma via Facebook, Twitter, Instagram, YouTube and Pinterest for the latest kitchen cookware, gadgets and more. And don’t forget that Disney’s Beauty and the Beast debuts this Friday, March 17, 2017 in theaters everywhere. 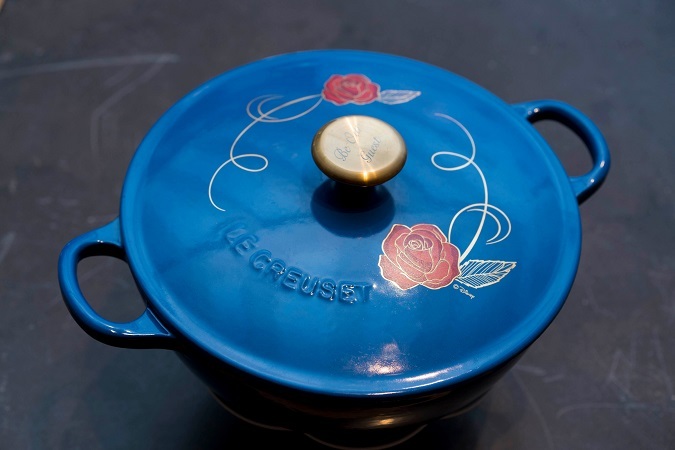 Are you in love with that Beauty and the Beast Le Creuset Soup Pot too? That sounds like such a fun event! I love Williams Sonoma!! I would have loved this event!! I could totally do a Beauty and The Beast dinner party and I love love their stuff! It looks like it was a wonderful dinner party and I would love to have that pot. I plan on seeing the movie with my sister and my niece. What a beautiful experience and I love the way they embraced the theme. I am totally swooning over that Le Creuset soup pot too! 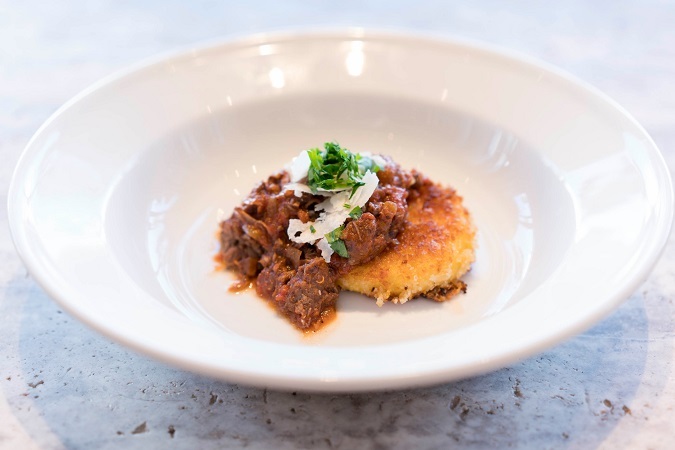 They really did have some impressive dishes to showcase! Working on those paper roses must have been fun! 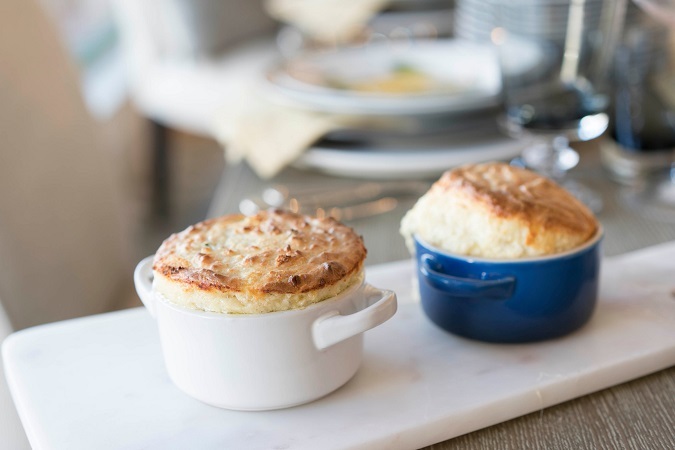 That food looks so good, especially the cheese soufflé. What a fun party with a great Disney theme. The cheese souffle had me drooling. I like the Beauty and the Beast themed dinner party. And that soup pot is so unique. It looks so pretty it could be considered an heirloom piece. This is absolutely beautiful! I love the decor and presentation of the food. What a cool event. What a lovely event. So many little girls are excited for this film to hit theaters! I am so jealous! 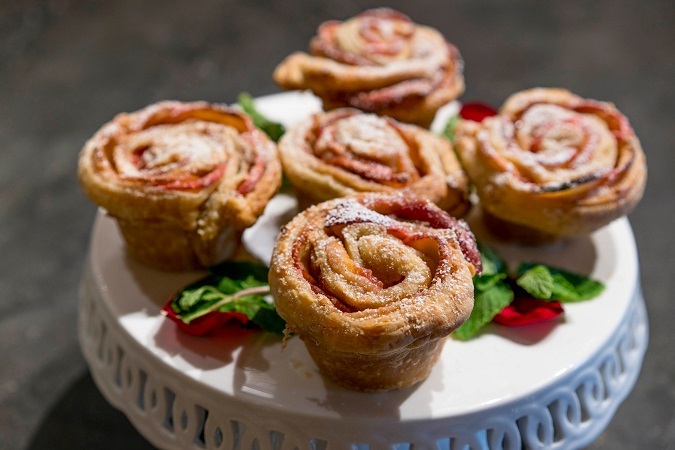 This looks like the event of the year 🙂 Those rose muffins- can it get any cuter than that? And I love the flower lid on the pot! Williams Sonoma has great things and that was some party. All the food and drinks looked so good. oh wow how awesome is this! love willims sonoma! This all looks so lovely i love the pots and the this event looks like it would have been a blast! WILLIAMS SONOMA is such a good store. We were always impressed with it and used it as part of our wedding registry. Wow, that all looked so beautiful! I would have loved to be there with you! What an awesome set this is! I bet this event was so much fun! Can’t wait to see this movie. This looked like such a fun event to attend! Everything looks so amazing!